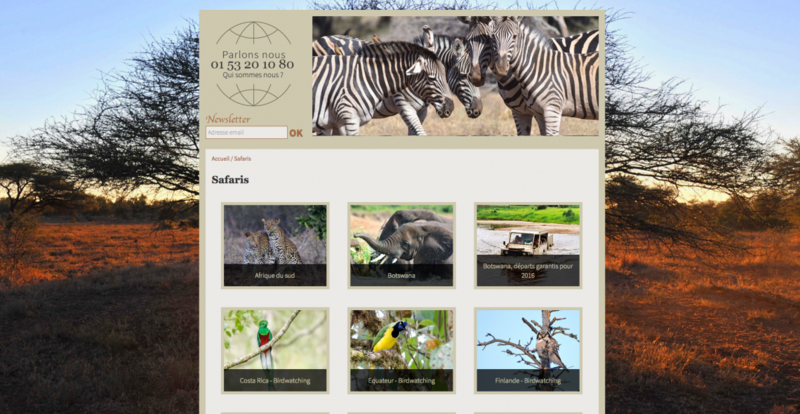 Conception and development of a website for a travel agency. The company offers to their clients awesome travels all around the world. They wanted a website with an easy to use back-office to upload all their photos to illustrate what they can do for their customers.